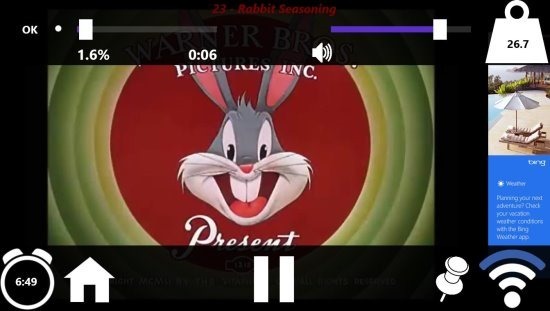 Looney Tunes App is a free Windows 8 Entertainment App; available in the entertainment category of Windows App store. 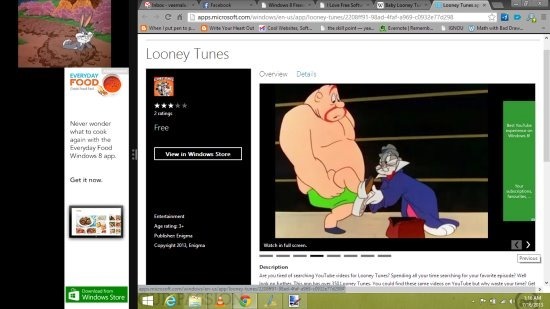 Using this app you can watch the famous Looney Tunes shows on your Windows 8 for free. The app has a special interface to make you comfortable and you can browse shows according to your favorite character. Make sure you are connected to internet to browse the videos and watch them; no need to search for them in YouTube. The interface of the app looks interesting and easy to use. After you install the app, the app will prompt for a demo video; just watch it if you want to or you can understand the app by reading the following review. Step 1: As soon as you launch the app, you will see various characters of Looney Tunes like shown in above image. 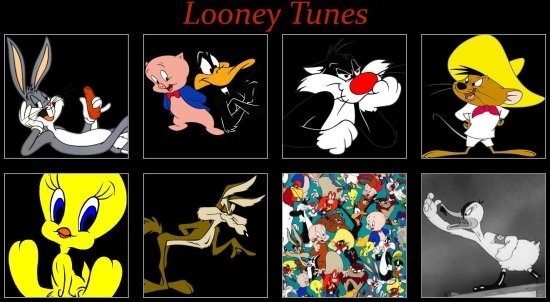 The characters available are: Bugs Bunny, Daffy Duck, Sylvester, Tweety, Road Runner, other Looney characters, etc. 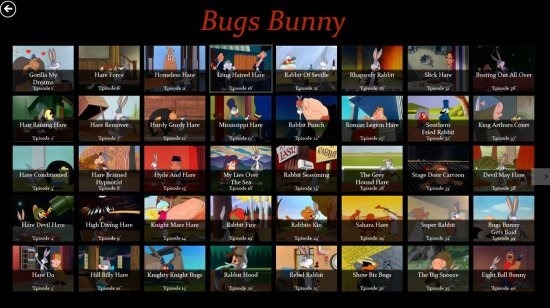 Step 2: Click on any of your favorite Looney Tunes character to watch their shows. Step 3: You will see a bunch of shows as shown in below image. Select any one of them based on: thumbnail of the show, name, and episode number is given. Step 4: After choosing your show, the show starts playing on a full screen; after slight buffering. Step 5: If you want to view the options like pause, forward, etc. Just right click on the app and you can view the options that are shown in the below image. The top meter showing percentage indicates the percentage of show viewed already; so adjust the meter to forward or rewind. Beside that is the volume control and the weightage of video (less number indicates the video can be played smoothly). Below them are the home button, pause and pin button. You can pin your favorite show and beside that indicates the network intensity, to help you understand the buffering rate of video. Stay near to the router to play the videos faster. Looney Tunes entertainment app is free. Pause, play, rewind, and forward buttons are also available. Pin your favorite shows to the start screen. More than 350 episodes are available. Use the app in Snap mode also; if you can ignore the ads. Use this link to open the App Store page of Looney Tunes. From there navigate to Windows Store app and install the app. You can also try: VEVO music videos app and Discovery Channel App.